This workshop will introduce the use of cover cropping as a practice in agroecosystems. We will touch on why cover crops are used, how different species of cover crops impact ecosystem functions, and how cover crops can be used to increase the multifunctionality of agroecosystems. A survey of current cover crops research topics in the Northeast will also be presented, including case studies from both vegetable and grain farms integrating cover crops into their systems. 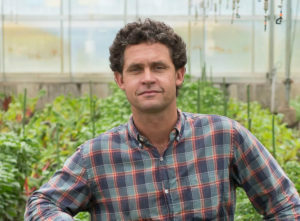 Jack Algiere will speak about the practical applications that have led to the development of the cover crop and crop rotation plans at Stone Barns Center which focuses first and foremost on the health of the soil. Understanding how to manage soil for optimum health by thinking through the intersection of its physical, biological, and chemical properties is essential for success in regenerative agriculture systems. 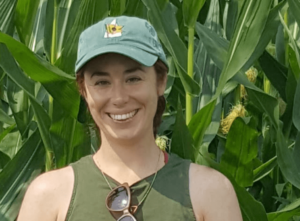 Sarah Isbell is an Ecology Ph.D. candidate at Penn State studying agroecosystems and soils. She is involved in several interdisciplinary projects focused on cover cropping and reducing tillage in organic grain cropping systems, within which she focuses on nitrogen management and soil ecology. Sarah is also an alumna of the Stone Barns apprentice program (2012-13), which subsequently led her to several farming opportunities on diversified vegetable and flower operations in the Hudson Valley. Since transitioning from grower to researcher, she has worked with farmers and scientists from around the globe, including participating in research in Italy in Mediterranean silvo-arable-pastoral ecosystems, presenting research at national Ecology and Agronomy conferences, and participating in the newly formed Northeast Cover Crops Council.